Introducing our NEW 2017 Children’s Carpet Catalog that features all of our collections! Our Carpets for Kids PREMIUM Collection of children’s classroom carpets and interactive play rugs enhance children’s learning experience. This online carpeting catalog now includes our Faith Based collection that is designed for the home or children’s ministries. Our KID$ Value PLUS™ line sports upgraded KIDply® Backing and edge yarn for long-lasting area carpets that stay looking great. Children will learn about their shapes, the alphabet, numbers and so much more! These rugs are ideal for small groups, circle time, learning circles and classroom organization. Our KID$ Value Rugs Collection features smaller area rugs with the same great designs and colors that you are used to, but with budget friendly prices!They are even machine washable! Look inside and browse our selection of unique children’s area rugs by clicking on the image of the catalog cover. To order a carpet catalog, please email our National Sales Manager. 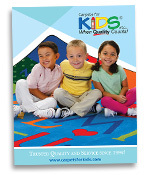 Our printed children’s carpet catalog is printed with 100% Soy ink. Soy-based ink is more environmentally friendly. It also improves the life span of the printers, makes it easier to recycle paper, and is more economic in the long run.